Sizes 4 – 14 Regular are $32 and Half sizes 7 1/2 – 14 1/2 are $34.00. Teen sizes are $34.00. 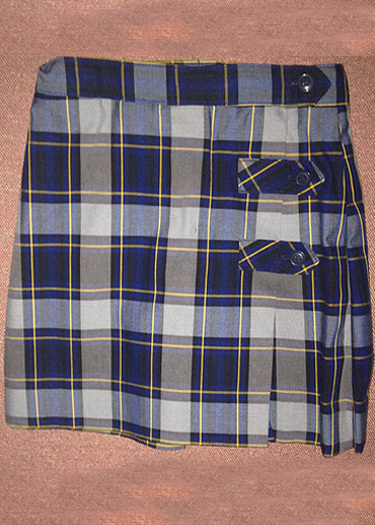 School plaid skirt with kick pleat front and back with adjustable waist . 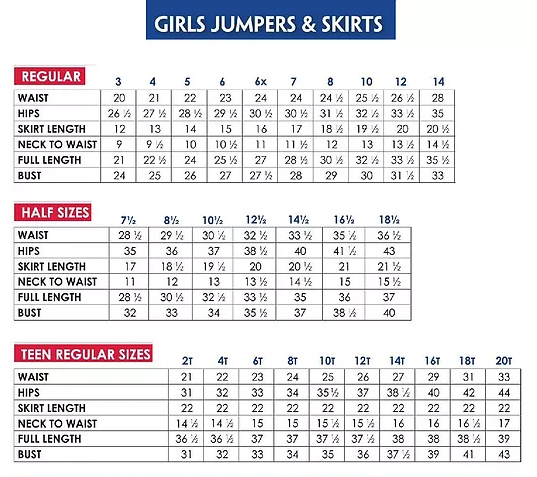 All sizes EXCEPT teen sizes have elastic waist. Please choose your size above.